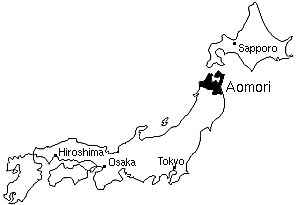 In the summer of 2003 I had the opportunity to spend five weeks in Japan as a short-term missionary with OMF. This site is a record of that trip, what I saw, what I learned, and what God did. I went as part of a team of four to assist Tsugaru Gospel Church. 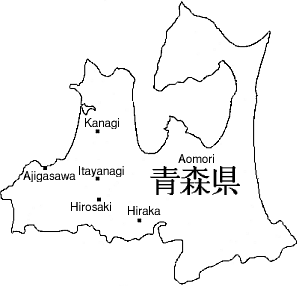 Tsugaru Gospel Church is located in the Western half of Aomori Preferecture, centered in Itayangi, and was founded and is pastored by Ruth and Martin Ghent, under whom we worked. We were, in many ways, assistant missionaries, and helped out in the major areas of outreach. These included tracting in the northern villages, teaching English, getting to know the Japanese whom we met, and helping out with church/OMF activities (two church retreats and the OMF missionary conference). It was an excellent time to learn about how missionary work is done, as we did missions work and met many OMF missionaries. Although this is site is intended to be read sequentially, random access is available from the menus or, for older or text-based browsers, though the site hierarchy below. Why did I go? And having been in the workforce for five years, how was I able to go? The Spiritual state of Japan.